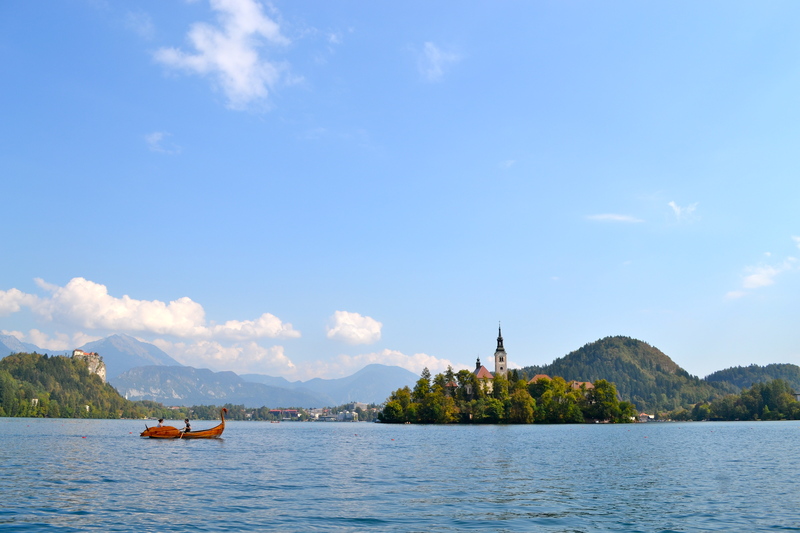 This weekend I went camping at Lake Bled in Slovenia. I didn’t use a tent (mostly because I need to buy a tent and I have no idea which one I should pick), instead I stayed in a little wooden hut at the campsite. The hut came with its own rustic style hot tub right out front. 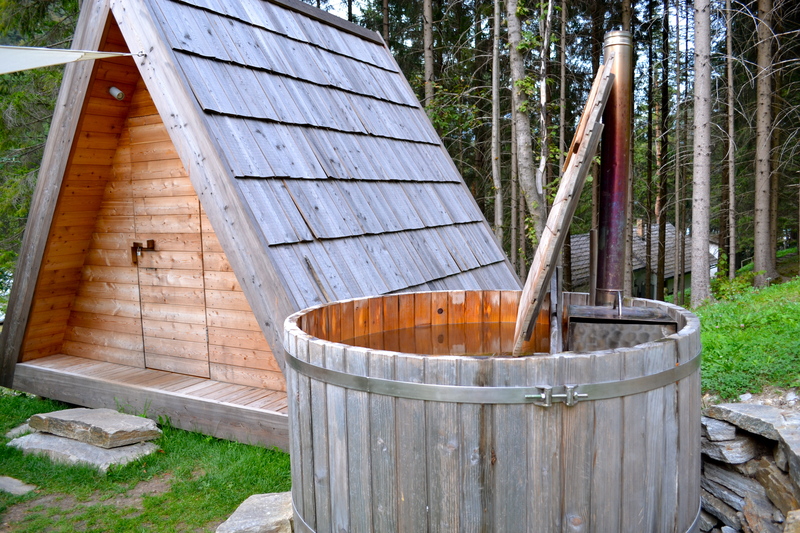 The hot tub is basically just a giant wooden barrel (with seats) filled with water and heated by starting a fire in a metal compartment halfway submerged in the water. Soaking in my own little barrel at the end of the day was completely fantastic. 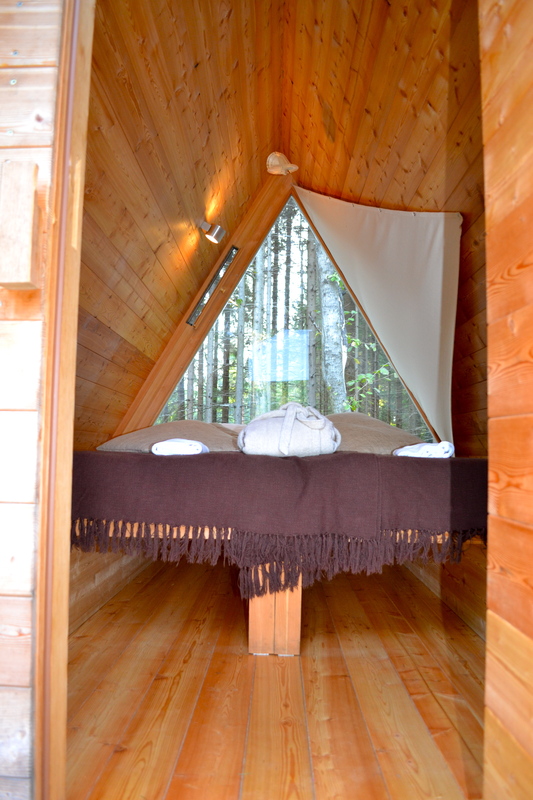 The inside of the hut is very basic, just some places to store your bags and a bed. The bed was comfortable and the coolest part was the large picture window on the other end of the hut. My first night at the campsite I woke up and pulled back the curtain and saw a fox nosing around right next to my hut. I sat in bed and watched him through the window until he scampered away. Instead of doing the hikes I had planned, I decided to take it easy and hang out by the lake. There is an island in the middle of the lake with a church on and I really wanted to see the church. There is a ferry that takes you over to the island, but for only 10 euro I could rent a boat and row myself over, so that is what I did. I love to kayak and I am pretty good at it so I figured that rowing this boat around would be pretty easy. That was a mistake. For starters, the boat is a lot bigger and heavier than a kayak and in the boat I had to sit backward and steer by constantly looking over my shoulder. It took me a while to get the hang of it and by the time I was feeling confident my arms were getting pretty tired, but I made it to the island! 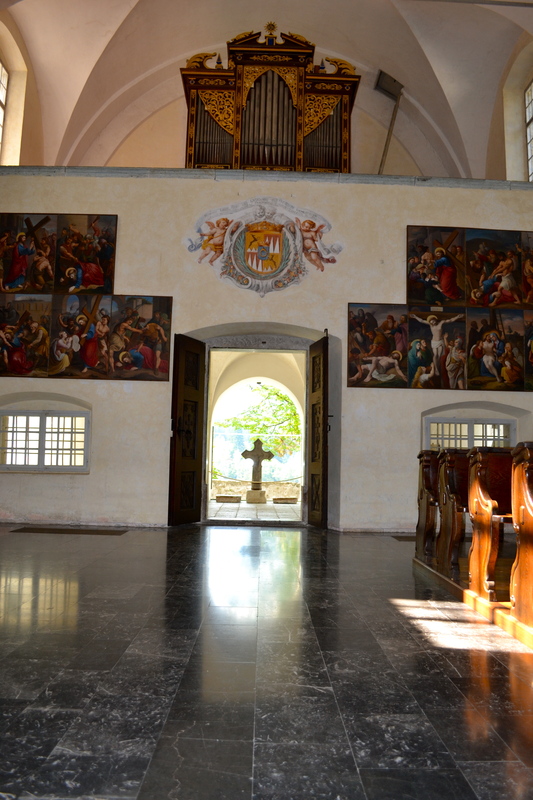 The church on the island dates back to the 16th century, but other churches stood in its place much earlier than that. The graveyard dates all the way back to the 8th and 9th centuries. The bell in the tower has a beautiful and sad legend attached to it. 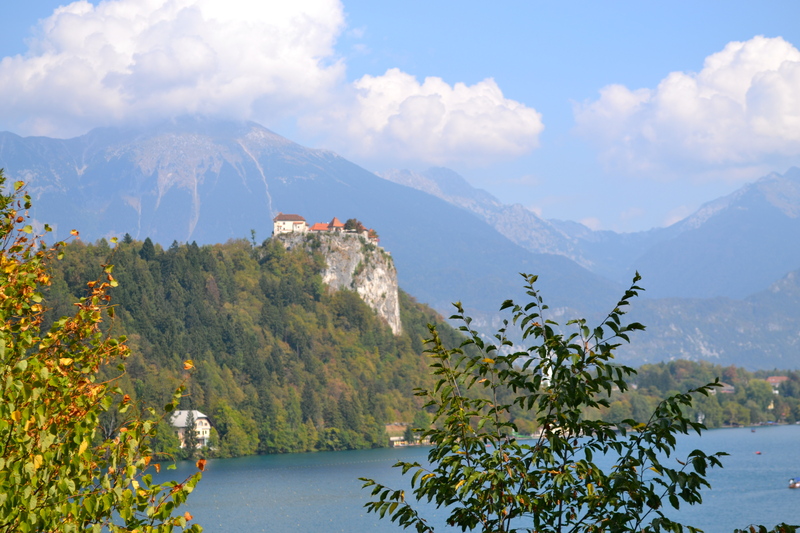 A young widow who lived at Bled Castle (in the background on the left) mourned her dead husband. 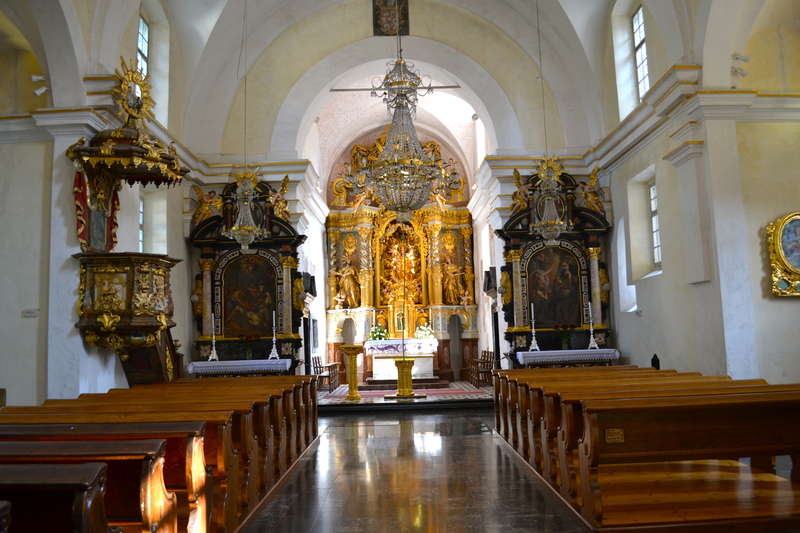 She gathered all her gold and silver and had a beld cast for the chapel on Bled Island. When the bell was being transported to the island, a tempest caused the boat to overturn. 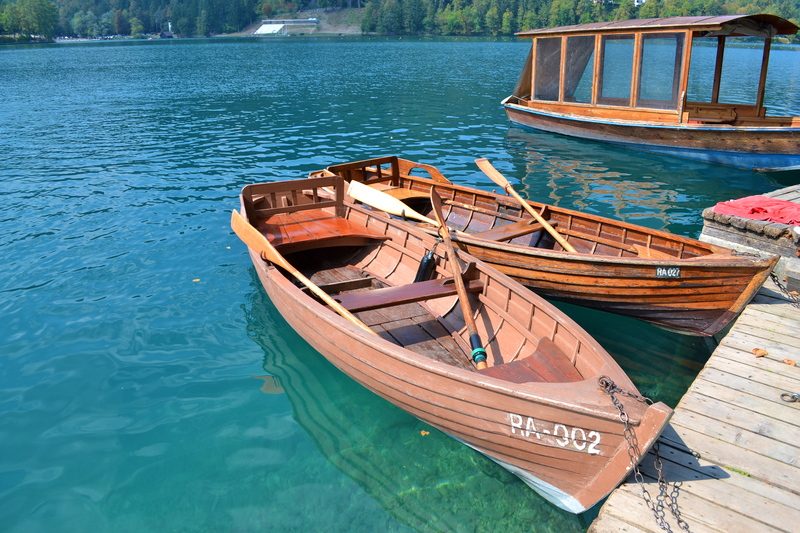 The boatmen drowned and the bell sank to the bottom of the lake. The young widow, now even more devastated, left the castle to enter a convent. After her death, the Pope donated another bell for the church on the Island. Legend has it that whoever makes a wish and rings the bell will have their wish granted. I made my wish and rang the bell. My wish was a pretty tall order so I am keeping my fingers crossed for the bell! After my trip to the island I still had to row myself back across the lake. The entire time I was rowing I was cursing myself for neglecting to work out my arms for months. I was also hoping someone would send out a little tug boat to pull me all the way back to shore. That didn’t happen. I did see this couple rowing by in a beautiful swan boat, so romantic! Once I got back to the dock I was hot and tired from all the rowing so I decided to spend the rest of the afternoon swimming in the lake. The water was so cold I could only stay in for about ten minutes at a time so I rotated between sunning myself on the shore and taking quick dips in the lake. 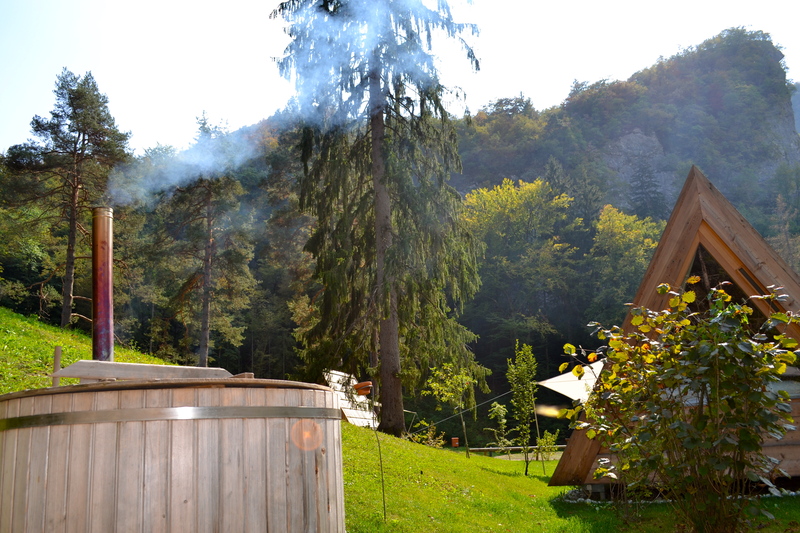 Once the temperature started to dip I walked back to my hut (about a five minute walk) and jumped in the hot tub. I spent the rest of the night drinking wine, reading my book and hanging out in the hot tub. It was a perfect day. 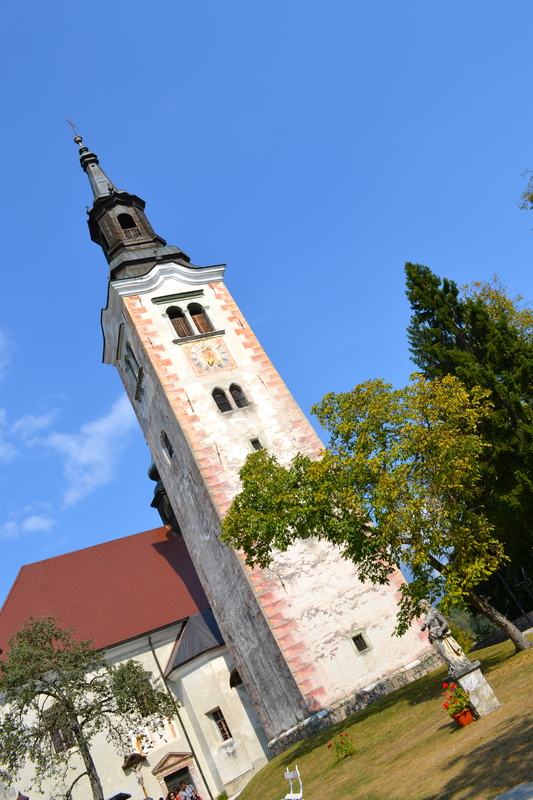 This entry was posted in Uncategorized and tagged Churches, Slovenia, Travel. Bookmark the permalink. Erica…………I want to be you!